Home » Lufthansa » Business Class To Germany: Lufthansa Or United? Business Class To Germany: Lufthansa Or United? 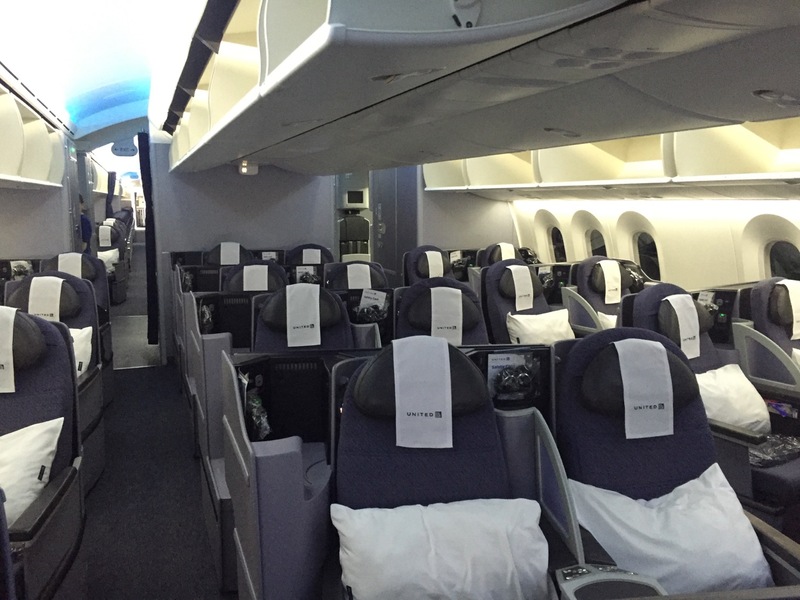 Who offers a better business class product between the USA and Germany, Lufthansa or United? Both United and Lufthansa offer dedicated check-in lines at airports for business class passengers. Neither offer car service or escorts on the basis of purchasing a business class ticket. Both have exceptional apps that allow for online check-in and issuance of boarding passes. Lufthansa and United business class passengers have access to the same network of lounges: United-operated in the USA and Lufthansa-operated in Germany. Since passengers flying either airline have access to the same lounges, you might think that this category will also be a draw, but there is one distinction. The one advantage to flying United is that you are granted access to these Polaris lounges if you are connecting to or from Polaris-branded (longhaul) business class. Let’s say you are traveling from Frankfurt to Houston on United then on to Las Vegas. If you are a business class passenger on United’s Frankfurt to Houston flight, you can access the Polaris Lounge in Houston upon arrival while waiting for your connection to Las Vegas. 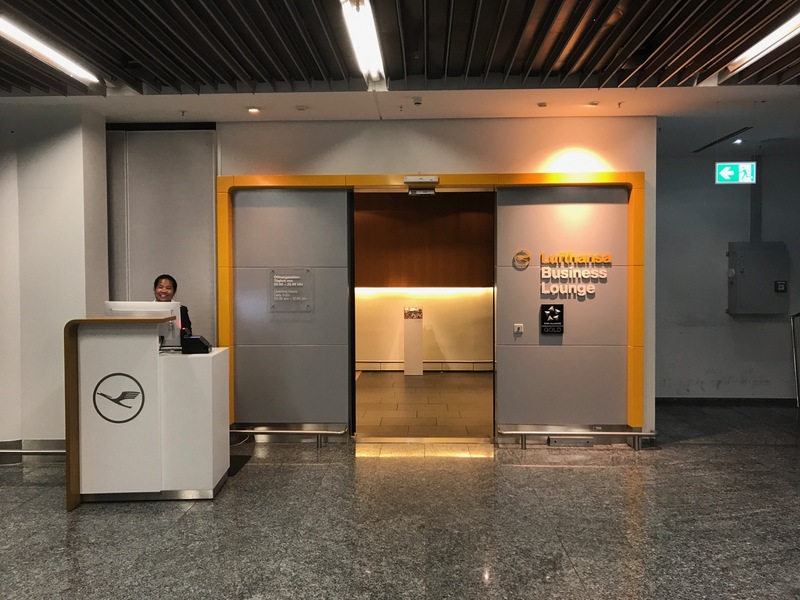 But if you take Lufthansa from Frankfurt to Houston in business class, or even in first class, then connect on the same flight to Las Vegas, you will not have access to the Polaris Lounge or even the United Club (absent Star Gold status). That’s the benefit of flying United: lounge access throughout the journey, not just at the airport prior to your longhaul flight. With Lufthansa, you only have one seat choice, pictured below. This is a fully lie-flat bed, but note that the seats angle in toward on another on many aircraft, meaning your feet will just be mere inches from your neighbor’s when in the lie-flat mode. Every seat in this cabin has direct aisle access and I find it to be a very comfortable seat. United also uses a B/E Diamond seat, as pictured below, aboard all of its 787 Dreamliner and select 777-200 and 767 aircraft. These were the seats used by pre-merger Continental Airlines. Finally, you may end up with United’s most congested business class configuration across some 777-200s, which feature eight across in business, 2-4-2. I have no trouble sleeping on these seats, but they are incredibly narrow and lack personal storage. Last-minute aircraft swaps are not uncommon, so until the entire 767 and 777 fleet has been retrofitted with the new Polaris seats, understand you might wind up with a different business class product than you were anticipating. The 787-8 and 787-9 aircraft will not receive new business class seats, but the 787-10, which will be delivered in early 2019, will have Polaris Business Class seats. United offers Saks Fifth Avenue bedding, including a plush pillow, day blanket (throw), and comforter. Cooling gel pillows are now also standard and mattress pads are available. 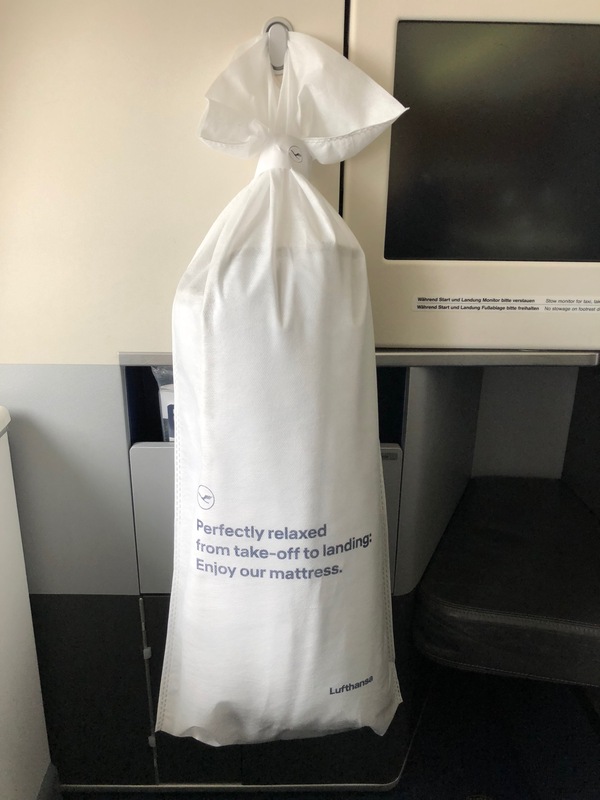 Lufthansa offers plush blankets, a mattress pad, and smaller pillow in business class. Service is extremely hit or miss, though the notion that Lufthansa always offers superior service is patently false. United’s FAs tend to be more seasoned, which can be a good thing or bad thing. Most still love their jobs and this is demonstrated in the folksy, friendly service offered onboard. Some, however, should have retired years ago and make the flight experience dismal by failing to make eye contact or bat a smile. I was not pleased with the service on my last Lufthansa flight. The FAs were young, but sloppy and not very attentive. This seems to be a growing problem in Lufthansa Business Class: based on the comments in my review, my experience was hardly unique. Food is often a matter of personal taste, but both Lufthansa and United offer very edible airline meals. 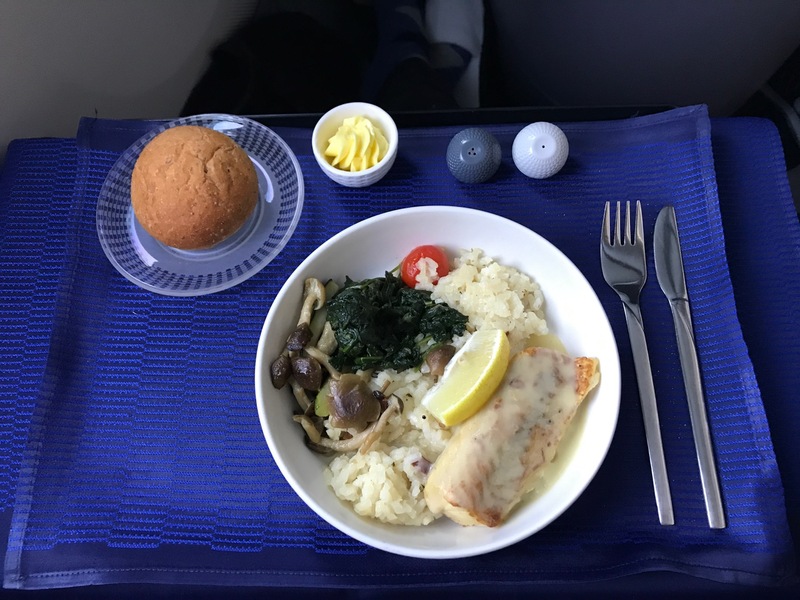 They are still airline meals: I would not call the food truly outstanding on either carrier, but both offer multi-course meals after takeoff, snacks throughout the flight, and a light pre-arrival meal. I very much enjoyed the main course on my last Lufthansa flight, but did not find the appetizers memorable. Even worse, the pre-arrival soup + salad (standard on all flights to the USA) was poor: the soup was cold and salad wilted. United has fancy new crockery, but I am not convinced the food is any better than it has been for the last several years. Appetizers are also generally forgettable though main courses tend to be quite good. For that reason, I’ll give United the slight edge, but this is close. United offers a more robust dessert menu than Lufthansa, with ice cream sundaes, cheese, and petit fours. Lufthansa offers fruit, cheese, and ice cream or yogurt in a plastic container, which is unbecoming of business class. 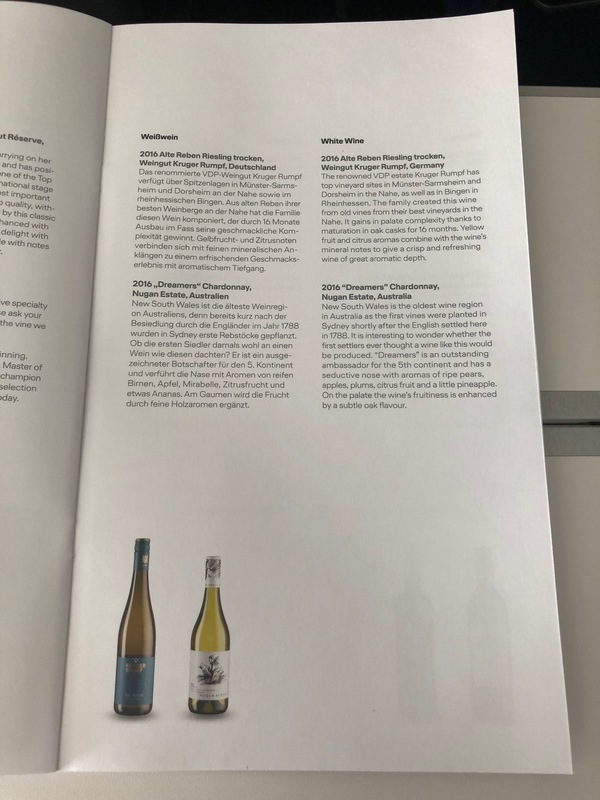 Lufthansa’s wine list offers a better quality of wines than does United. Both offer bottled water, soft drinks, juices, and spirits. Lufthansa has a larger tea selection than United and also offers espresso, something United is desperately lacking. United’s new IFE system is much easier to navigate than Lufthansa’s system. Both, however, contain about the same number of Hollywood movies, TV shows and games. 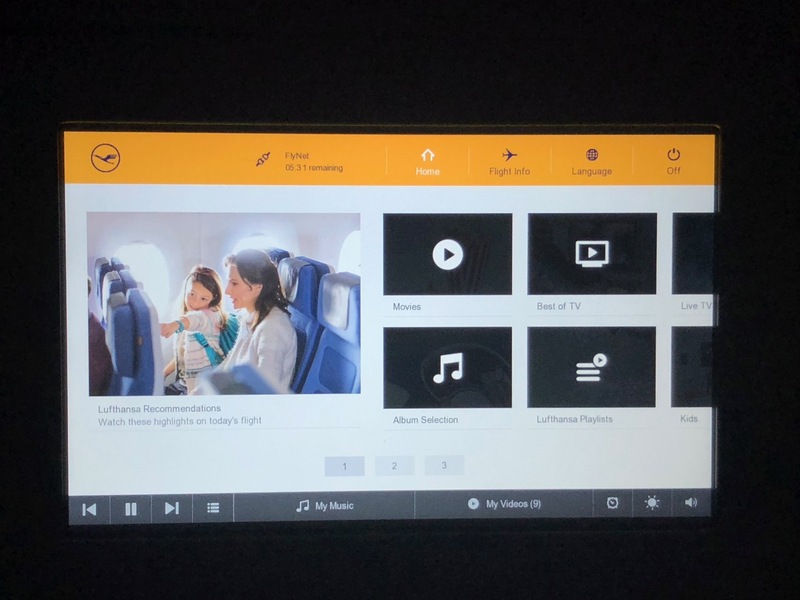 Lufthansa includes a greater selection of movies from around the world and also a large audio library. United offers virtually no musical selections. Both United and Lufthansa offer wi-fi internet on flights between the USA and Germany. I find Lufthansa’s system a bit more stable/dependable than United’s, but both are slow. Depending upon the flight, United’s wi-fi costs 25-30% more than Lufthansa. United’s kit is in a metal canister that may be reused as pencil box or storage container, but is less useful. That said, the contents in United’s kit are more useful. I appreciate the Cowshed amenities and find the eye mask and socks are of higher quality than Lufthansa. Lufthansa has windows in some of its lavatories…that alone is enough for me to award this category to Lufthansa. On a serious note, Lufthansa restrooms tend to be cleaned more often and offer some additional amenities like shaving kits and mouthwash. While United offers really nice Cowshed amenities in its business class lavatories, Lufthansa has the slight edge here. The most important thing about business class, as far as I am concerned, is the seat. Thus, I’d choose United in all cases except for the older eight across 777-200s. United offers a more comfortable seat, better bedding, and enhanced privacy over the Lufthansa seat. You’ll find good meals, hit/miss service, the same lounges, and similar ground services on both airlines. Which do you prefer, Lufthansa or United? Regarding Polaris lounge access, In a couple of weeks, I’ll be flying on a United award ticket from Europe to the US, flying Lufthansa business class FRA-EWR, connecting to a United domestic flight. Would I have Polaris access in Newark? No, Polaris access on arrival is only for UA flights. Love this style of post. Would be great to see more of these side-by-side comparisons! I agree – great post. Would love to see more comparisons of partner products (LH vs Austrian vs Swiss; BA vs AA vs Iberia; KLM vs DL vs AF). I’ve never flown United longhaul biz, but I’ve had much better experiences on Lufthansa than you have with regard to service, food, etc. The seat isnt groundbreaking but I only fly business with my wife so that doesnt bother me (I admit I’d feel differently if I was flying solo). Would really like to see you rank the transatlantic star alliance business options. I’d assume you’d put Singapore first but given the lack of routes I’m interested in how you’d rank United/SAS/Lufthansa/Swiss/Austrian/TAP/Turkish/Brussels (independent of destination). I agree completely Evan. You can’t pay me to fly United, but I am traveling on LH today. Even with status on AA. Thanks Matthew. Could you talk a little about availability of the two products? Not all Lufthansa seats are angled towards one another. On the A330, A340, and A350, the A, C, H, and K seats are positioned the same way as the B/E Diamond Seat, ie, both seats are facing in the same way away from the aisle. Also, while all the Lufthansa seats on the 747-8 are all angled towards another, the D and G seats are a bit further apart and lessen and touching of the knees when in lie flat positions. Two points about the food: 1) United also serves their yogurt in plastic containers and 2) Lufthansa does at least give you options when it comes to appetizers. I greatly appreciate your post, and normally find your responses to be very insightful; however, I could not disagree with you more. The overall winner in my opinion is Lufthansa, by a million miles. I say this as a Million Mile customer and owner of Continental United Holding stock, Lufthansa is a better product, hands down. I have flown all long-haul metal of both airlines and feel I am providing a well researched response. The most important difference I can identify is customer service, at every turn. Check-in is efficient and friendly with Lufthansa, United SFO could hardly care about your class or the concept of enjoying your flight. The lounge difference by far is superior with Lufthansa, FRA Senator Lounge, a table may only have a bit of left overs before it is cleaned and wiped off by a staff member, I have been in Polaris lounges where I see trash on tables longer than my meal service. The one positive tick I can give United is the food, but it is a near draw, nothing compared to the amazing Air Canada Signature Service, a purely spectacular experience. On board is where Lufthansa shines, their customer service is far superior, only to be matched with that of Singapore, and it is a near match at that. I never see a flight attendant sitting down on a Lufthansa flight, they are always tending to the needs of the customers, United, needless to say can never compare with such service. Finally, the actual plane, Lufthansa has invested in their metal, the 380 is a dream to fly on, and the 747’-8 is still the Queen of the sky, United has promoted Polaris and hardly has anything to show for this, they have approximately 14 aircraft with the actual Polaris product, the rest is just the soft Saks Fifth Avenue fluff that Lufthansa easily meets if not exceeds. For those of you questioning this option, I highly recommend Lufthansa for an overall better flying experience. Have you ever flown Lufthansa before? I see that you fly United a lot, but a lot of your arguments on Lufthansa’s superiority are ungrounded. First of all, business class passengers aren’t allowed in the Senator lounge (our experiences may differ but I’ve never seen the Z lounge anywhere near clean). United flies the 777 (also a plane that requires the “investment” you speak of) and planes are gradually being converted to the Polaris product, on top of that their 787s and ex-CO 777s are also on par with Lufthansa’s products on the A380 or 747-8. While their 2-4-2 777s are trash, those also constitute a rather small percentage of the fleet. My experiences with customer service on Lufthansa have also been mostly mediocre at best (I can’t say anything about United since I don’t fly them regularly, though for the times that I have they’ve been on par with, if not much better than Lufthansa). Todd, yes United was slow with the initial rollout of Polaris seats, but they seem to be picking up the pace. They’re up to almost 35 Polaris planes now with 4-5 lines going to reconfigure more planes, focusing on the 777s with the 2-4-2 in business. If United is a 2 class flight why don’t you compare united with lufthansas first class flights back from Germany or Munich. A380 and 747-8. I’m comparing business vs. business. 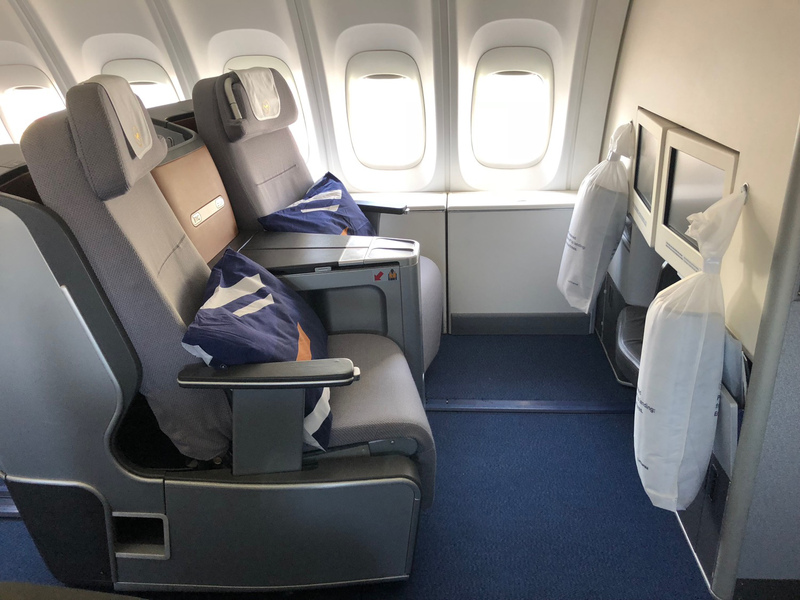 I think the Airbus 380 business class seats on LH are even narrower than the business class seats in the United 8 across 777-200. On the latter my broad but not outsized shoulders can fit in the lie flat position. On the LH 380, I am not able to have the seat in lie-flat position and fit into their coffin. I prefer Lufthansa as an airline to United (for a variety of reasons). But, I have to concede that I agree with the conclusion here that between United Polaris and Lufthansa Business, the better choice seems to be United. The investments they’ve made to the on-board hard product and Polaris lounges are high quality and competitive with international standards. Per Evan’s suggestion above, can you do a round robin style brackets competition among the Star Alliance carriers? 8 airlines is enough to have a 3 round competition! A lot of editing mistakes, though. As the menu photo comparison indicates, the selection of liquor/spirts offered by the U.S. airlines never includes Campari or other amari, or the other interesting options offered by European airlines. And on the U.S. airlines, you usually have to choose between a cheese course OR a dessert. If I’m traveling to Europe, I like to begin the European experience when I step on the plane. United always offers cheese, ice cream, and petit fours. You can have all of them. Even though United might have edged out Lufthansa on a few points, I still would choose Lufthansa. When I look at the overall travel experience, Lufthansa is just superior all around. With United you can always expect something to go wrong, and I have just had enough of that with United. Now I only choose United if there is a substantial difference in price, but this hardly seems to be the case on flights I am looking at. You mentioned cleaning of lavatories on board. Do the FAs clean the lavatories? United food is not great in business. I’ve found it especially bad leaving Paris. Years ago I gave up on meat dishes on United because it was more often bad than decent. The chicken seems to be some kind of spiced concoction—so a ‘no go’ there. I found theie pasta dishes to be nice. What can they do to pasta? Well my last business flight on United out of Paris showed me that yes pasta too can be ruined by United. My guess is that their caterer out of Paris is part of the problem too. Now I just avoid United business period—too risky. I was not the biggest Continental fan but I miss the care that they took with their BusinessFirst product and their food. Not a trace of that left in United business. Lufthansa seats are not the best but they’ll do. I find their food and service to be fine. Recent United experiences have been best described as rush and minimalist….must have been a new People magazine that they were dying to read. 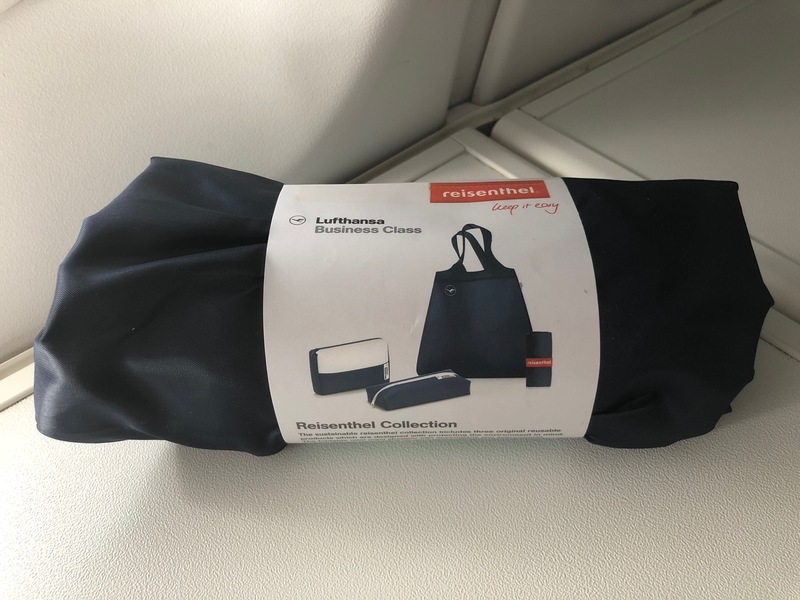 I disagree with the United amenity kit preference. Those kits are worthless. Most of the time the tins are dented and I just don’t see a use for them. Concerning the contents, I don’t use the socks and I carry my own mask – from QR, the best I’ve used. I far prefer the soft kits that everyone else uses. They’re much more useful for little travel bags. Though we shouldn’t forget that once Lufthansa had those grey plastic containers. Those were simply worthless. Tins are still present. I just received one earlier this week. I guess the phase out is a work in progress! I was reading another thread where the poster received the new style. If you’re sticking with the Star Alliance theme, how ’bout Air Canada? Reverse-herringbone B/E Super Diamond in J ought to be plenty compelling. Those Lufthansa seats are some of the most uncomfortable in the sky. Never again. Flying Swiss, you got to eat in the lounge. Zurich is very nice. Same thing with United. Since they got the Polaris lounges, the only thing I consume on the plane is the in flight champagne. Even comparing these is an insult to LH. UA (or any domestic airline) will never compare to LH. Don’t kid yourself. I fly them both often, lived in both countries, and speak both languages. Thus, I think I am in a very good position to compare the two. Having flown United and Lufthansa back to back on my recent trip to Oktoberfest, I preferred LH to UA overall, but it was close. UA 1st isn’t very good. The “breakfast” was a cold protein plate on a nearly 4 hour flight that left only an hour after the lounge opened. The seat was tired, of course, but the worst was the FA serving 1st. He was actively unpleasant, clearly upset that I hadn’t already decided on a breakfast choice (protein plate or granola bowl) without a menu or any announcement. The Polaris Lounge in EWR was magnificent. Food was exceptional, the beer choices well thought out, and the whole thing was clean as a whistle. Had new Polaris seats on the 767 to MUC and they were OK. Storage was good, but I found them only just OK for sleeping. The food was also very meh, although the omelette at breakfast was, as always, quite good. I found the FA serving our aisle to be brusque, although much better than the FA out of DEN. I found the biz lounges at Munich to be very busy, but generally clean and well stocked. Most importantly, they had coffee and a breakfast at least as good as what I’d skipped at my hotel. They’re not even close to Polaris though. This flight had a few things going for it. First off, the LH biz seat is awesome for daytime flights. I’m not sure how good it is for sleeping, as I didn’t sleep on this flight, but it was more comfortable than the Polaris seat for sitting. The food was also dramatically better than on UA. Plus the bread kept coming, which was awesome. I really don’t use the IFE, preferring to use my own device, but the inflight cameras on the A350 were fun. The best part was that it was nonstop. Nothing was enough better about either experience to make me choose one over the other on any basis but price/schedule. In almost any case, if there’s a nonstop, that’ll be my go to. I flew UA outbound simply because it wasn’t sold out. I generally prefer LH. Maybe if I was on a refitted Polaris seat and traveling from a Polaris lounge location, I’d feel differently, but flying mostly out of IAD, I’ve never experienced either one. And my greatest disagreement with the above is about the food. It’s always been much better on LH in my experience. 2) Refund possible plus fare difference. Instead Lufthansa told me that I would have to pay £1000 to change the ticket, so I had no option but to cancel it. Lufthansa refunded £65 only. I then rebooked the return for the 16th September at a cost of £452.50. I feel cheated by Lufthansa. Please advise me what I can do about this, if anything? Thanks for the review. As one of those Folksy Friendly flight attendants who still love his job (even with 32 years under my belt…former CAL) I appreciate your review of us. I would like to believe that we at United can continue to head in the right direction and improve the service across the board to our customers. There are those of us who always try to do the best we can with the tools provided to us. I haven’t flown United on the Germany route, but did fly Polaris to Argentina and back, and recently on Lufthansa Business from Frankfurt to Philadelphia. 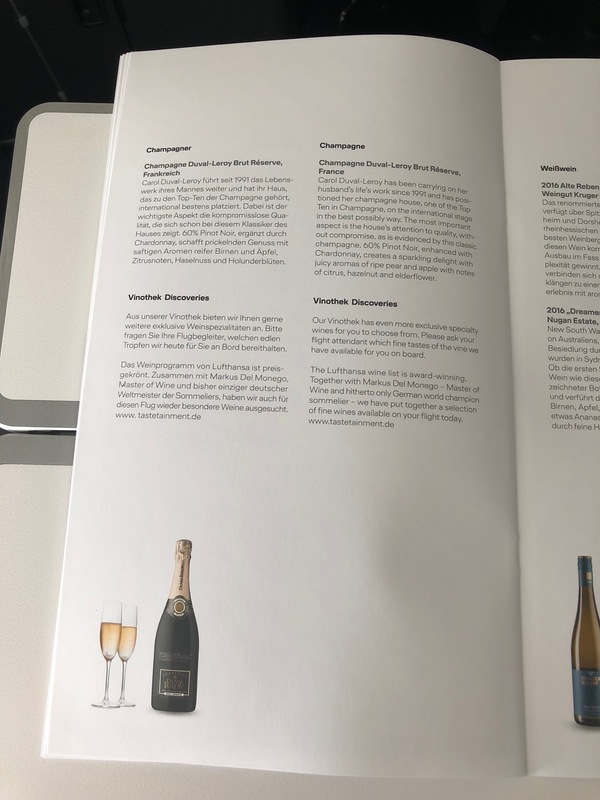 Lufthansa service was far and away superior, with a purser who actively asked if we needed anything, made suggestions for what we might like, was familiar with the wine list, adjusted the cabin temp for me, and clearly showed he was available for anything we might need. However, the seat was awful – it was so narrow that I couldn’t even lie down without squeezing my shoulders in and crossing my arms. United had the much better seat, but service seems very perfunctory. It’s as if the flight attendant manual says to walk the aisle every two hours – and that’s it. No more, no less … Service was adequate, even good, but not warm. Still – I’d also go with United for the seat, the Lufthansa ones are terrible. I think Lufthansa is way overrated and overpriced. I fly this route 2/3 times per year and there is always something unpleasant. I pay well over 5000 US$ for a return business class ticket and still have to figure out where i can enter the lounge in Houston. Would be easier just to put that on your boarding card. 20 years now and have indicated and pre-warned numerous times that I am allergic to fish they fail almost every flight and either I have no choice left or have to wait until I can get some leftovers from first class. Flew United a couple of times and it was decent but nothing to get estatic about. I hope one day both will get competition from the Arabian airlines as they still know how to treat a customer and they are 30 % cheaper for the same amount of miles flown. Hi Jan, thanks for your comment. Matthew, Thanks for the well balanced evaluation. Due to a handful of highly publicized (and over-hyped) incidents, UA has become the whipping boy of the industry, and many people just love to pile on. In many recent reviews, I do not believe they got a fair shake. Personally, I have generally been pleased with my international flights on UA. Even the 2-4-2 seats on the 777-200, while clearly outdated, were a perfect fit when traveling to LHR with my wife and daughters. Some of the newer biz class configurations are not at all friendly if you are traveling with a family, or even one companion. As I write this, I am in the midst of a round-the-world trip encompassing 9 aircraft on 5 airlines, all in biz class and traveling solo. So far, even without the Polaris seating, the UA 787-8 from DEN-NRT was head-and-shoulders above the NZ 787-9 from NRT-AKL. UA was superior in every respect: seat, food, amenities, and service. UA was also better than the QR 350 from DOH-BCN, where the food was awful and the service overbearing. (The QR Qsuite from SYD-DOH was sublime, but that is in a league of its own, and not available on most aircraft.) I think people sometimes get their initial impression of an airline from other people, or maybe from a single personal experience, and they cling to that impression when it may not be supported on an ongoing basis. It is also clear that people with elite status tend to prefer their regular airline, but their overall experience is not the same as those who lack status. My only experience with LH was on a very old 747, but I am boarding the 350-900 from MUC-DEN in a few hours, and I am curious to see how my experience compares to yours. FYI, I used UA miles for this portion of the trip, and the fees were just $60. Sounds like it is AC imposing those heavy fees, not LH. Since different partners assess different fees for award bookings, I often wonder who actually gets that money? Thanks for a great piece. I’m flying into Frankfurt with Lufthansa connecting to BKK via Thai Airways. In Amsterdam will I have access to the business lounge? You will, though it’s just the Aspire Lounge. The coffee is decent, but I would not necessarily arrive early for this lounge.